Mayo for Haiti concert 19 Feb 2010 at the Royal Theatre, Castlebar. 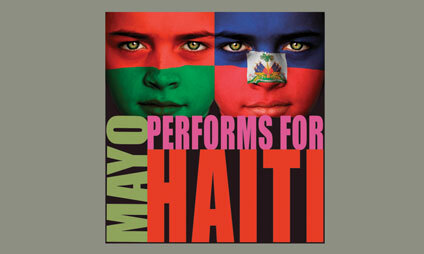 Over 12 acts performing for one night only in aid of the Haiti Eathquake Disaster Appeal Fund. Featuring the cream of Mayo singers and bands, compered by Henry McGlade.